When you are wrapped up in a situation that requires intense focus on your own well-being, it’s easy to forget the enormity of the world around you. When your sole focus is survival, in a highly emergent situation which also draws the focus of those around you, your problems can feel very large and encompassing. And mine were, to be sure, but in the grand scape of the world, there are others who face continuous battles that are much worse. But you sometimes forget about that when lying in a hospital bed. You forget about the fact that you are but a tiny speck on the planet. I am making my best efforts to put that past behind me, and to root myself in a new home while still seizing as much of a semblance of my old life as I can. Hitting the road in a local RV trip, even if not exotic nor many miles from my home, would be my first test. And even though we ventured down many new roads, I anticipated that all of the familiarity would not be as soothing as I needed. After being bound for several months, I wanted newness and adventure. I didn’t know if I’d get it in my own province. 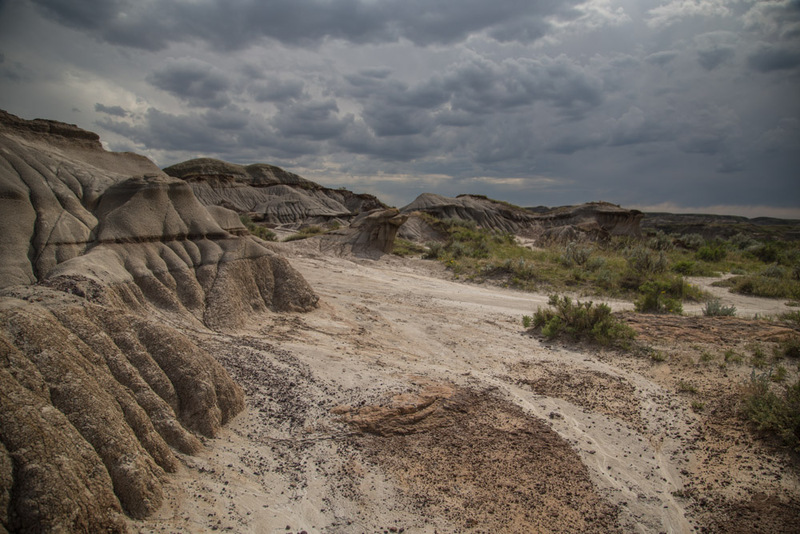 But then we arrived in the Badlands, and I can’t pinpoint exactly why my body responded the way that it did, but I immediately felt improvement in my health. I felt a surge in energy and that raw feeling in my chest dissipated. I have narrowed the explanation for my progress down to a few probable causes. For one, my body was getting more used to new medications, and every day had been subsequently better than the last. For two, this area is said to have a spirit to it, an ineffable draw that sneaks into the soul and anchors a person here. And it was also brand new to me, never having visited before despite being within an easy drive for much of my adult life. 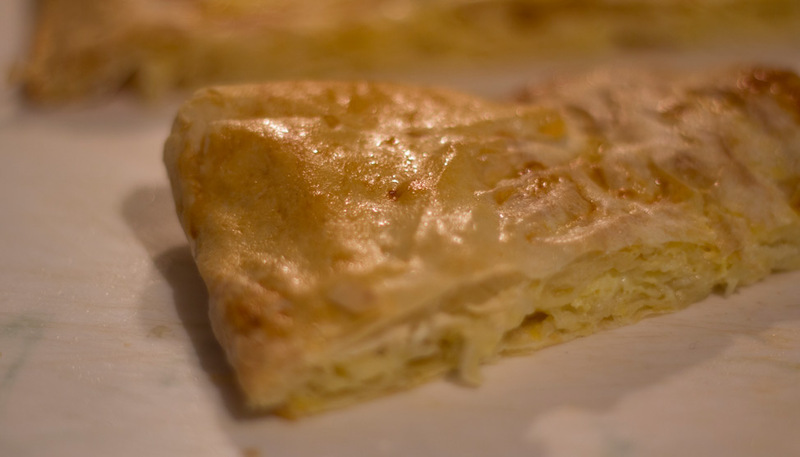 Anything new was sure to be refreshing and fuel for my traveler’s heart. And finally, standing in a hoodoo valley where giant beings once roamed reminded me of the very small place I actually have in this world and in its history. It made my problems feel smaller, and offered both Pete and I the chance to feel some departure from what we’d just been through. I believe that final realization is what caused the relief of a thousand pounds to be lifted off my chest. 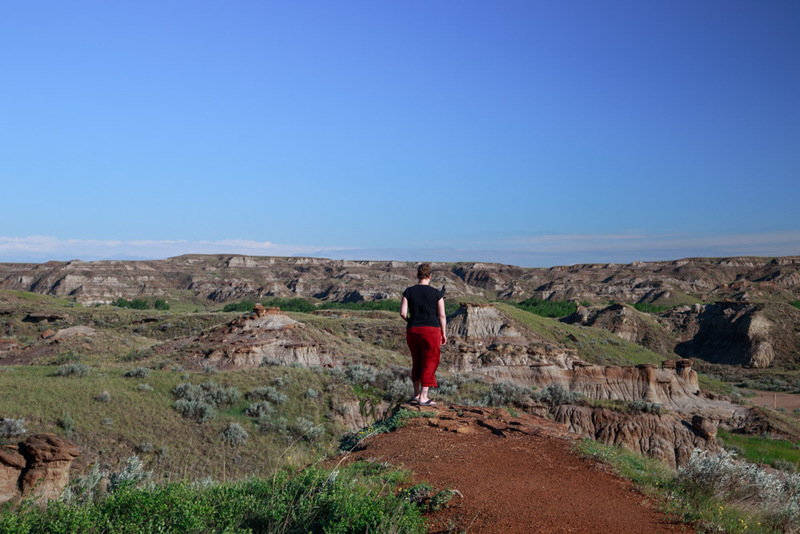 But then we arrived in the Badlands, and I can’t pinpoint exactly why, but my healthy felt so immensely improved. Enroute: a stop at Dry Island Buffalo Jump. Pete hiking in Horsethief Canyon. 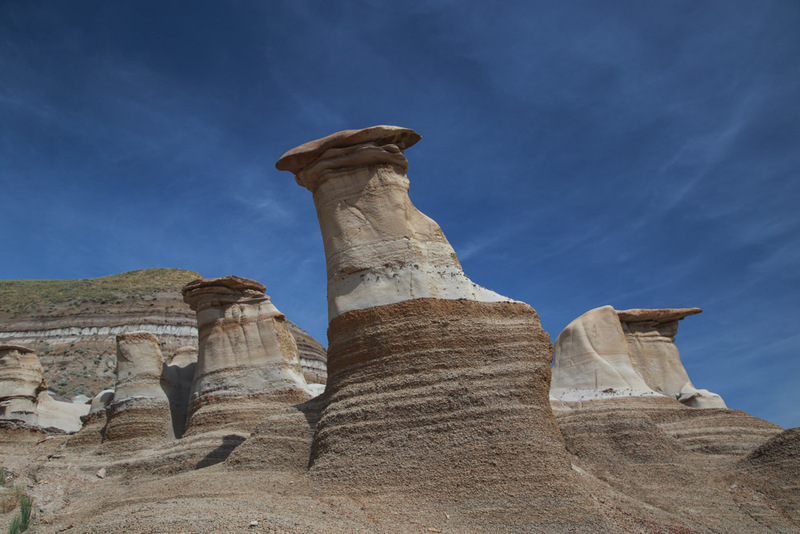 The region of the Canadian Badlands covers a vast space, it includes cities and small towns, but is most noteworthy for the uncommon landscapes made up of long stretches of coulees and hoodoos. It is also a UNESCO World Heritage site because of its ancient riches of fossils and dinosaur bones. 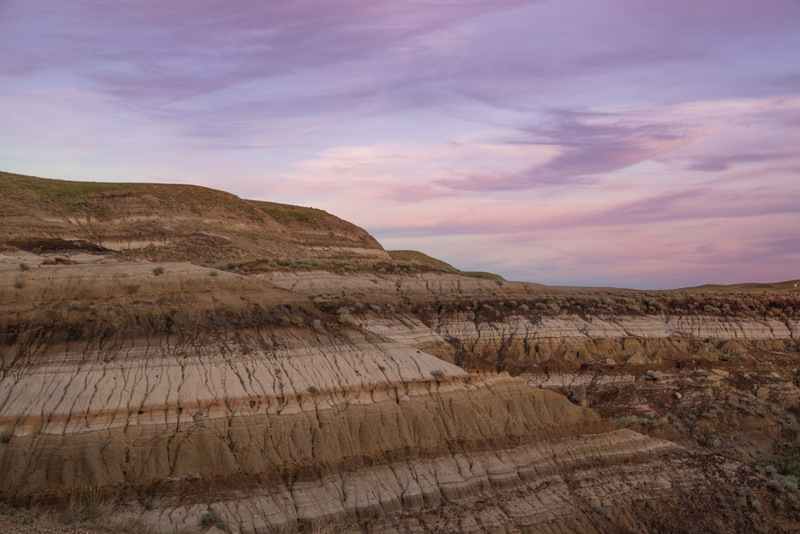 The landscape protects them, making the Badlands one of the best places in the world for discoveries that predate mankind (check out this one recently found which was wholly intact). 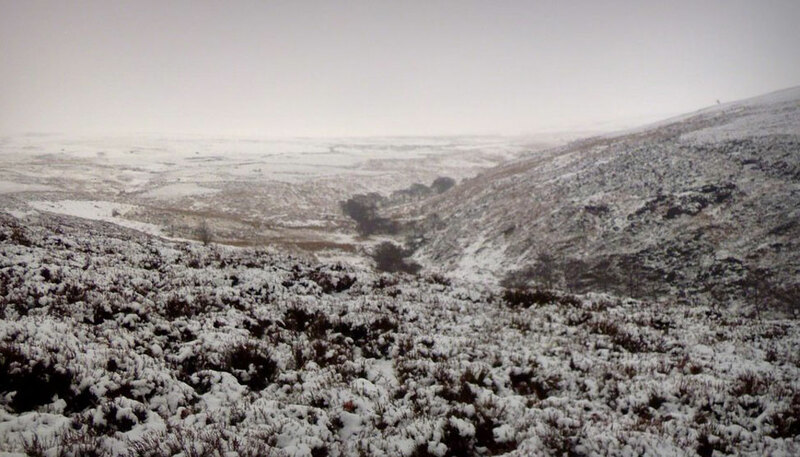 Any walk through the area should be taken with a slight scuffling feet, just to see what may be unearthed underneath. Scuffling makes for a slower pace, and that suited us quite fine. With my muscles weak from lack of use, I did not venture far and moved slow. But every step forward was one into new territory for me, and one that I didn’t know for sure I would ever take. I felt renewed. Any walk through the area should be taken with a slight scuffling feet, just to see what may be unearthed underneath. 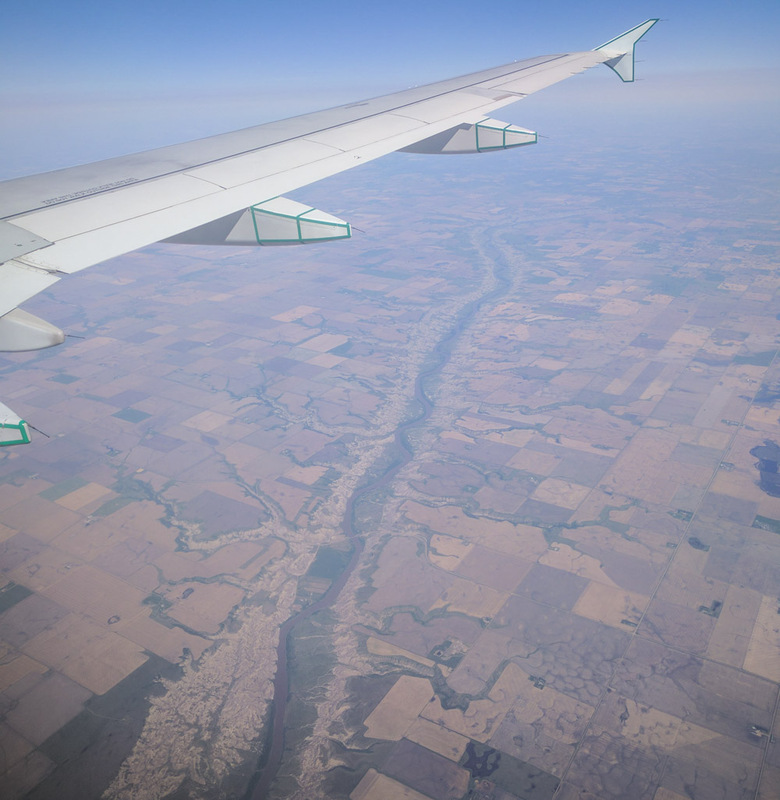 The Badlands as seen from above on a previous trip. 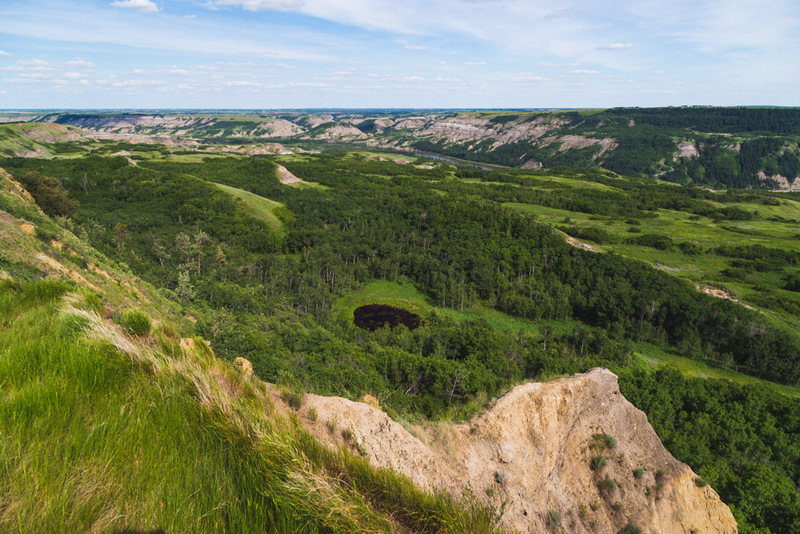 We started in the most popular spots in the region, Drumheller. This small city, where the majority of tourism activity occurs, is aptly known as the Dinosaur Capital of the World. Yet we skipped the massive museum that is its hallmark, and instead chose to just wander in and around. With replica dinosaurs scattered all over, it is a veritable playground. 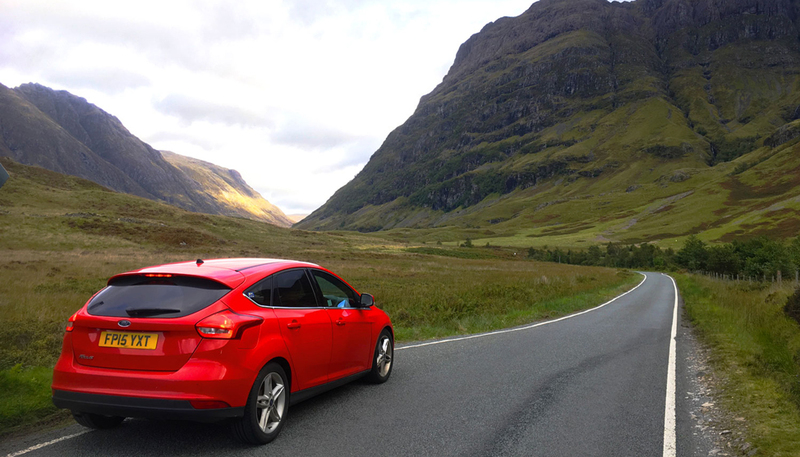 We quite literally “frolicked” (and I never use that word). Pete even bravely insisted we venture to the Star Mine Suspension Bridge nearby. He had visited as a child, and was sure that it was the cause of his fear of heights in later life (when a teenager shook it badly while he was on it). He wanted to return to see what effect it would have on him. “Are you crying?” I playfully asked as he left the bridge. “Only a little on the inside,” he joked with a huge smile on his face as he started showing me the photos he took while standing in the middle. We quite literally “frolicked” (and I never use that word). 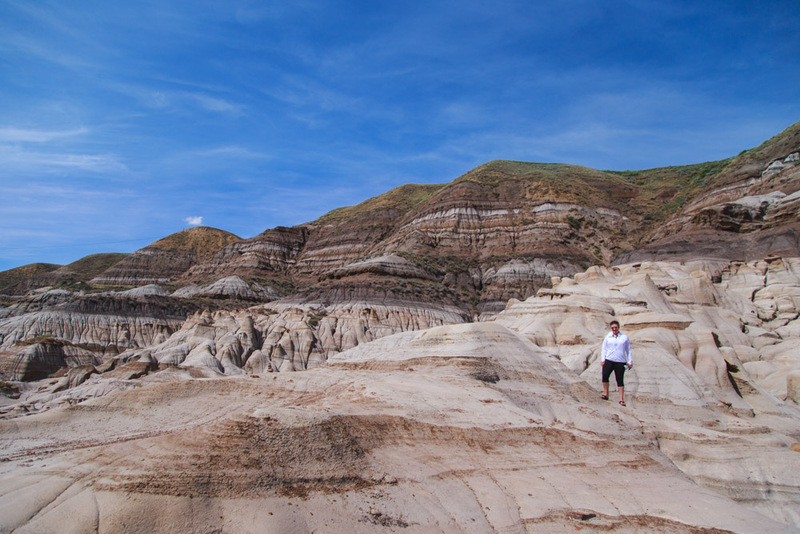 From Drumheller we drove two hours south and into Dinosaur Provincial Park. 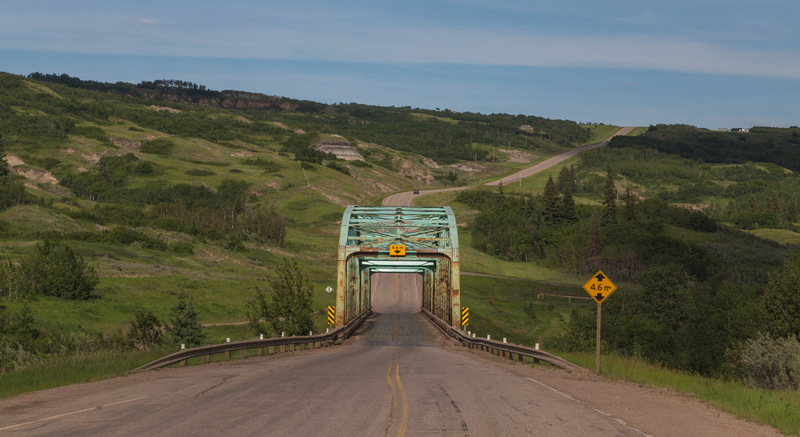 On the way we rolled over gentle hills of prime farmland, dodging more deer than I ever imagined we would, and finally came back upon the crack in the earth that makes up the coulee. It’s like the ground had been dug with a giant and jagged ice cream scooper. It is nearly imperceptible until you are right in it. It felt like we were reentering a whole other prehistoric realm of time. 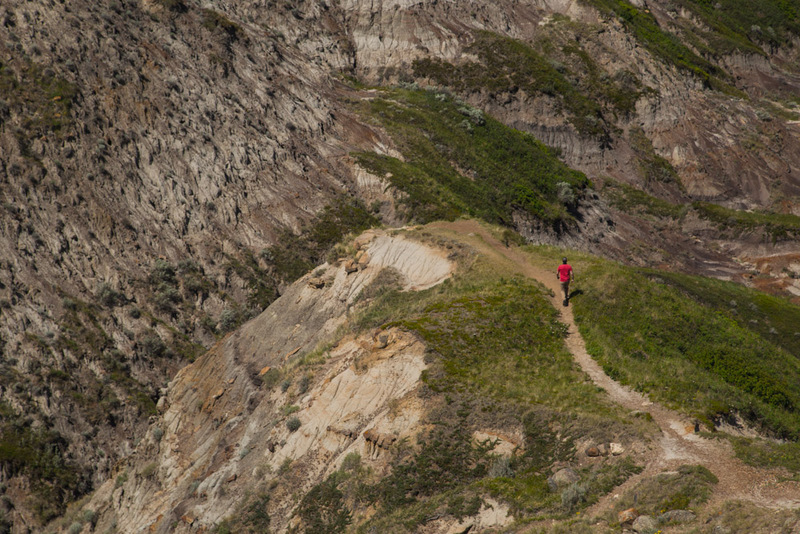 It is here, in Dinosaur Provincial Park, that I took the most steps I had in months. 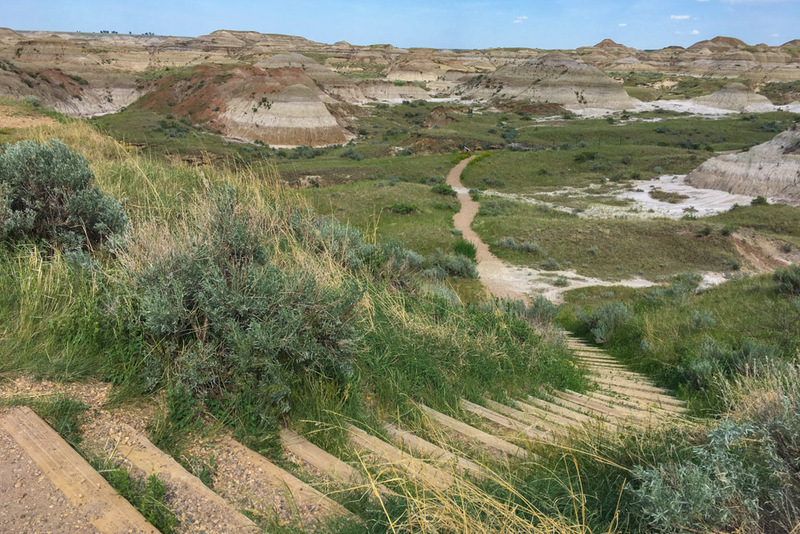 I circled the interpretive Badlands Trail, ventured up and down a staircase, stopping often to rest and take dozens of photos. Later we would drive a scenic loop within the park and stare down at whole dinosaur skeletons that were encased in glass and left exactly as they were found. 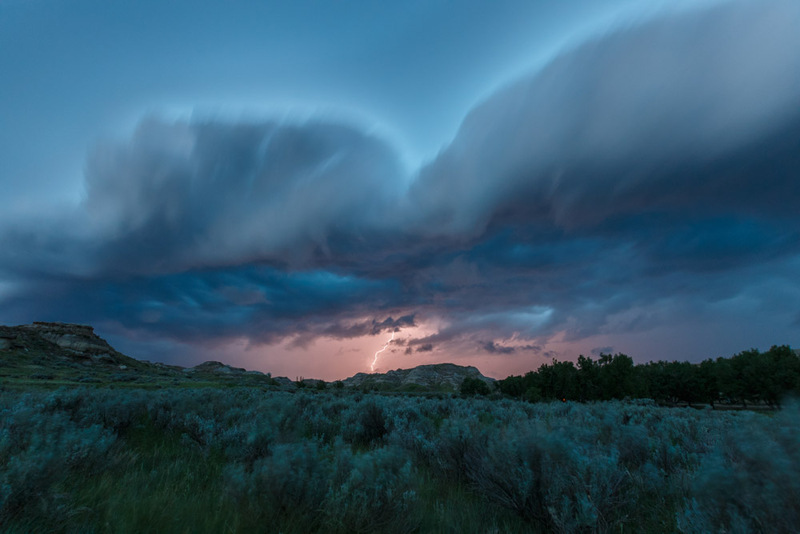 At night, we cuddled under blankets as a lightening and thunderstorm rattled our RV. It was typical for that time of year as relief for the heat that waved through during the day. We excitedly watched the waves of intense charcoal clouds roll in, and Pete barely made it under cover in time with his camera. That which rattled our RV. We had much of our road trip left in front of us, and while some spots did surprise us, nothing felt as captivating or stimulating as our time in the Badlands. Neither of these spots are far from our new home now. It’s comforting to know that these lands and their generous spirit exist so close. Details surrounding both of our camping locations can be found within this post. This post was produced by us, brought to you by Travel Alberta.